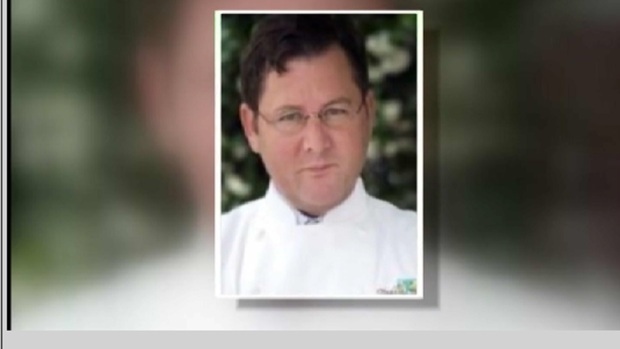 Trailblazing Chicago chef Charlie Trotter died Tuesday at his Lincoln Park home. Trotter, 54, passed away a year after closing his namesake Chicago restaurant that was credited with putting his city at the vanguard of the food world and training dozens of the nation's top chefs, including Grant Achatz and Graham Elliot. Paramedics were called around 10 a.m. to Trotter's Lincoln Park home, where they found him unresponsive. An ambulance crew transported Trotter to Northwestern Memorial Hospital, where he was declared dead after unsuccessful attempts to revive him, Chicago Fire Department spokesman Larry Langford said. An autopsy was planned for Wednesday. Renowned celebrity chef dead at 54. Michelle Relerford reports. A sommelier who worked for years with Trotter told the Chicago Tribune that Trotter had suffered from an inoperable brain aneurysm for several years. His wife, Rochelle Trotter, on Tuesday expressed the family's shock at his death and appreciation for the many tributes pouring in from all quarters. "He was much loved and words cannot describe how much he will be missed," she said in a statement. "... His impact upon American Cuisine and the culinary world at large will always be remembered." 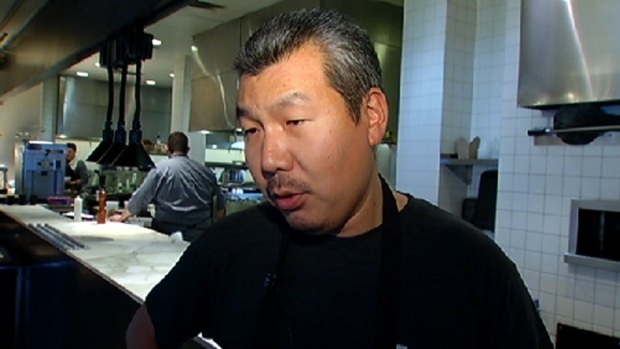 Bill Kim, Jimmy Bannos and Art Smith recall influential chef. LeeAnn Trotter reports. Trotter changed the way Americans view fine dining, pushing himself, his staff, his food and even his diners to limits rarely seen in an American restaurant. Yet it was his reluctance to move beyond those limits that may have defined the last years of his life. For decades, Trotter's name was synonymous with cutting-edge cuisine. He earned 10 James Beard Awards, wrote 10 cookbooks and in 1999 hosted his own public television series, "The Kitchen Sessions with Charlie Trotter." "It was the beginning of the notion that America could have a real haute cuisine on par with Europe," said Anthony Bourdain. "That was what Charlie did." Yet Trotter never went to culinary school. He grew up in the northern Chicago suburb of Wilmette and majored in political science at the University of Wisconsin, Madison. But an inspiring meal several years earlier had planted the desire to cook. Unbelievably sad to hear about Charlie Trotter's passing. He was such a mentor and visionary and we lost a good one today. After graduation, he created a de facto apprenticeship, landing his first job at a restaurant in Chicago's North Shore area called Sinclair's, where he worked under now well-known chefs such as Norman Van Aken and Carrie Nahabedian. From there Trotter moved to restaurants in Florida, San Francisco and France, all the while eating widely and reading cookbooks voraciously. When he returned to the U.S. — and with financial backing from his family — he purchased a Victorian house in Chicago and opened Charlie Trotters in it in 1987. "His restaurant shaped the world of food," said Dana Cowin, editor-in-chief of Food & Wine magazine. "He was so innovative and focused and intense and really brilliant. When he opened Charlie Trotter he was so original." Trotter's food was grounded in classical French technique, but blended seamlessly with Asian influences. He believed fervently in the power of simplicity and clean cooking, turning to simple vegetable purees and stocks — rather than heavy sauces — to deliver standup flavor in menus that changed daily. "He was a part of bringing in unusual ingredients and really scouring the world for ingredients that you never tasted before," said fellow Chicago restaurateur Rick Bayless. "He was really on that forefront of creating the modern tasting menu." He also was an early advocate of using seasonal and organic ingredients, as well as sustainably raised or caught meat and seafood. "Charlie was a visionary, an unbelievable chef that brought American cuisine to new heights," Emeril Lagasse, a close friend of Trotter's, said in an email. 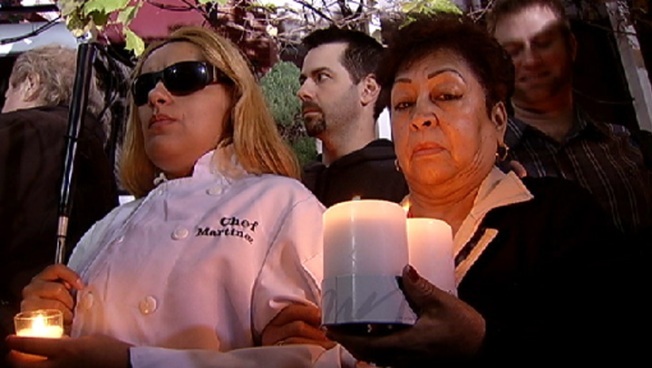 "We have lost a tremendous human being and an incredible chef and restaurateur." Trotter was gruff, exacting, demanding and a culinary genius. And for years, the restaurant was considered one of the best in the nation, earning two Michelin stars the first year the guide rated Chicago restaurants. He also was giving. He created a charitable group that not only awarded culinary scholarships, but also brought disadvantaged children to his restaurant every week to teach them about fine dining. But in time, the food world caught up with him. And food culture changed, with celebrity often trumping skill. It was a world to which he adapted poorly. "The last few times I saw him were at a food and wine festivals where people didn't recognize him. People did not acknowledge him for his incredibly important place in history," said Bourdain. "Back in Charlie's day, it was really the merit system. Being a great chef was enough. You didn't have to be lovable." Meanwhile, chefs such as Achatz — of award-winning Chicago restaurants Alinea and Next — became so avant-garde, Trotter's menus seem almost dated. And the very organic and seasonal philosophies he'd spearheaded had become commonplace. In 2012 — and in keeping with his reputation for bold, unexpected moves — Trotter closed his iconic 120-seat restaurant. His plan? Return to college to study philosophy. "The one thing it will do for me is let me wipe a certain slate clean. And while I'm studying and reading and applying myself to something else, if I decide to come back to the restaurant world, I think I'm going to bring a different perspective," he told The Associated Press in an interview last year. "My hope is to really learn how to think very differently on the whole thing," he said. Trotter was hospitalized in New York City this summer after having a seizure, close family friend and early Trotter mentor Van Aken said Tuesday. Van Aken said he didn't know what caused the seizure.